Home » Current Shows » Spoken Word Shows » Archive for category "EPIC!" 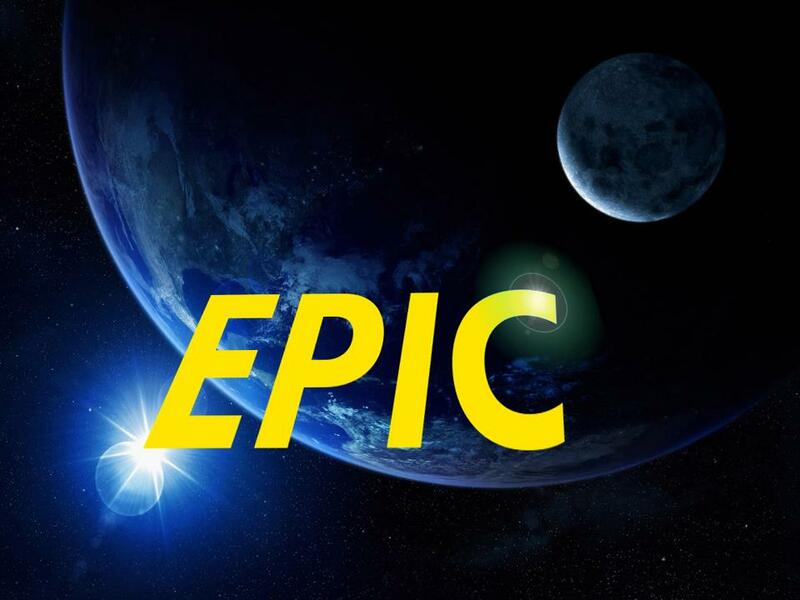 Epic is a radio show and podcast about all things awesome! Join Marc, Joel, Richard, Andy and more as they cover Science, technology, geek humor, pop culture, TV, movies, comics, and more. Tune in weekly or subscribe via iTunes or via RSS. | Visit Epic on Facebook and Like Us! | Follow @epicchsr on Twitter! Posted on 2016-04-16 by Marc Cabot Posted in EPIC! Posted on 2016-03-28 by Marc Cabot Posted in EPIC! Posted on 2016-03-14 by Marc Cabot Posted in EPIC! Posted on 2016-02-29 by Marc Cabot Posted in EPIC! Posted on 2016-02-22 by Marc Cabot Posted in EPIC! Posted on 2015-06-04 by Marc Cabot Posted in EPIC! Posted on 2015-05-07 by Marc Cabot Posted in EPIC! Posted on 2015-04-02 by Marc Cabot Posted in EPIC! Posted on 2015-03-26 by Marc Cabot Posted in EPIC! (Epic) Episode 70: Neuw, Neuw, News! Posted on 2015-03-05 by Marc Cabot Posted in EPIC! Posted on 2015-02-19 by Marc Cabot Posted in EPIC! Posted on 2015-02-04 by Marc Cabot Posted in EPIC! Posted on 2015-01-22 by Marc Cabot Posted in EPIC! Posted on 2014-12-16 by Marc Cabot Posted in EPIC! Posted on 2014-12-11 by Marc Cabot Posted in EPIC! Posted on 2014-11-27 by Marc Cabot Posted in EPIC! Posted on 2014-11-18 by Marc Cabot Posted in EPIC! Posted on 2014-11-04 by Marc Cabot Posted in EPIC! Posted on 2014-10-20 by Marc Cabot Posted in EPIC! Posted on 2014-10-07 by Marc Cabot Posted in EPIC! Posted on 2014-09-29 by Marc Cabot Posted in EPIC! Direct Link (Right click and save as..) We rage about Star Wars, Star Trek, and more! Hosts Marc Cabot (@MarcCabot) Richard Gray(@EpicRich1) Andy McMullen (@AndyLastName) Nuchtchas (@Nuchtchas, nimlas.org) The Clockwork Doctor (@The_Clock_Doc) Music Paul and Storm – This Song Paul and Storm – Right Here With You Ball Pit – BUY IT and FREAKIN’ OWN IT! Posted on 2014-09-16 by Marc Cabot Posted in EPIC! Posted on 2014-08-26 by Marc Cabot Posted in EPIC!